The apostle Paul spent his entire adult life, after his conversion, to the preaching of Christ in the “regions beyond.” He traveled tirelessly and established the churches that would later be the seedbed for the Gospel to spread throughout Europe and to America. As part of that ministry, he not only trained leaders for the new churches he established, but he also was careful to train the next generation of missionaries that would replace him once he was called home to glory. Paul set the example for those of us today who are called to the missionary ministry. We are to preach the Gospel and not become involved it resolving all of societies ills, as it is the Gospel and transformed hearts that will resolve those problems from within. As part of this ministry and responsibility, those of us who have the experience and academic qualifications (as did Paul) have an equal responsibility to not only preach and start new churches but also to train the next generation of missionaries. Our calling demands no less! 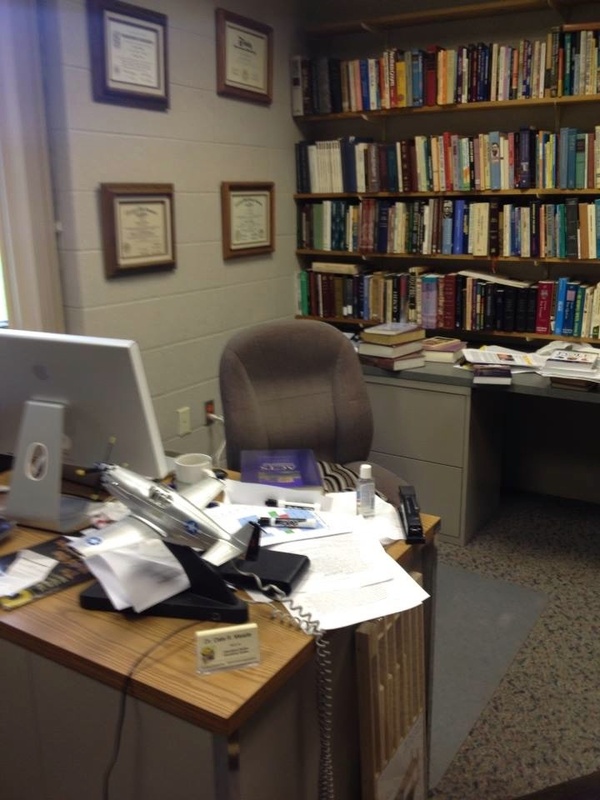 This fall, for the fifth time in my forty years as a missionary, I have accepted the call to serve as “missionary-in-residence” at one of our Bible colleges in order to serve by training up a new generation of missionaries. 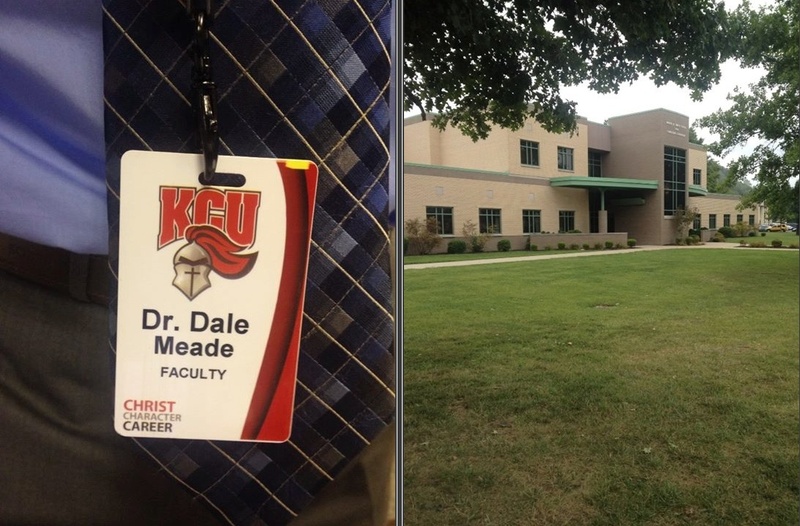 This is my fourth time at Kentucky Christian University. 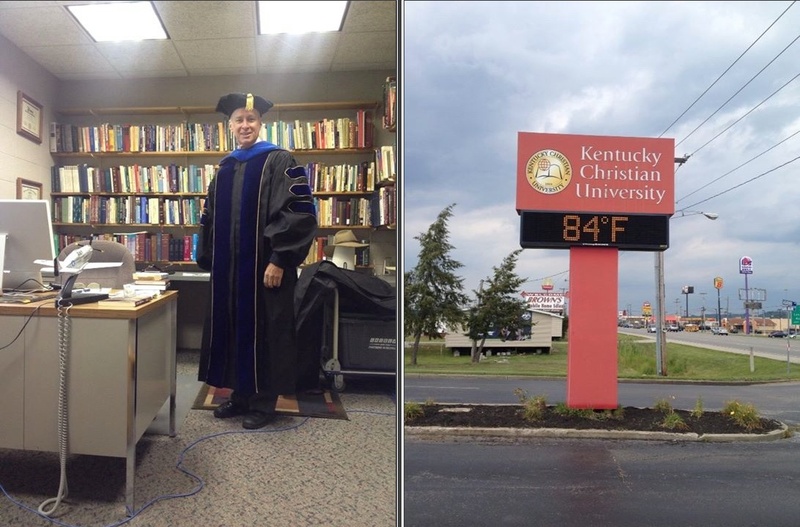 I began teaching here at KCU in the middle of August, only three days after returning from Colombia, as the professor of missions for the fall semester. I have 19 students in my world evangelism class and 7 more in my world religions class (I taught the world religions class via internet in the spring semester as well). My job is to prepare those who will take my place when I am called home and no longer here to serve. My job is to teach and model the missionary ministry for them, both in the classroom and in my service in Colombia. It is a responsibility I fill with great pleasure. It is an honor to be given this opportunity. It is a commitment that comes with being one of the very few long term missionaries in our brotherhood who also has the academic credentials required to fulfill such a ministry calling. During the entire fall I will be in Grayson, Kentucky during the week as I teach my classes to the students here and encourage more to become interested in and involved with the high calling of preaching Christ to the whole world in fulfillment of the Great Commission. On the weekends I will then travel home to spend time with my family or I will travel to supporting churches to share with them what we are doing together in the missionary ministry in Colombia. It will be a hectic and tiring fall with a lot of work and a great deal of travel. But it will be a fall of great opportunities to serve our Lord in the fulfilling of a very important part of the missionary ministry. This is not a change in ministry but a continuation of what I have always done; to serve faithfully and to teach others from what I have learned in those many years of service. It is to fulfill my debt to you as supporters who have encouraged and sustained me during my years of service and of study. I will make use of all I have learned in both spheres both on the field and in the classroom. Both of facets of the same ministry and both are the fulfillment of Biblical examples and clear instruction. One is simply a part of and and a natural conclusion to the other. At the end of this fall semester, Lord willing, I will once again be returning to Colombia to continue with what the Lord has called us to do there in that country. So this fall let us all sing praises to God for His faithfulness in granting me this privilege of being one of the few who is honored by being called to teach and prepare the future of the church in teaching and preparing the future missionaries that will keep us faithful to our calling and purpose!